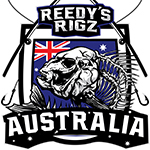 Reedy’s Rigz is a small but proud AUSTRALIAN company started by a Aussie Family Reeds We supply high quality fishing gear for both recreational and professional fishers such as Flasher Rigs, Ultra Rigs, Pre-Tied Paternoster Rigs, Snapper Lures, Jigs and more. We have taken a conscious decision to sell our new products only through the local tackle shops in Victoria and elsewhere in Australia and not online, as we want to contribute as much as possible to the local businesses in our country. We want our money to stay in Australia only and not go to some large corporation. We want to help small businesses such as the local tackle shops in Victoria as much as we can. This transition hasn’t been easy for us, and comes at a great financial cost, but we are determined to follow it through as we don’t want our local tackle shops to disappear because of the competition of internet behemoths such as Amazon. 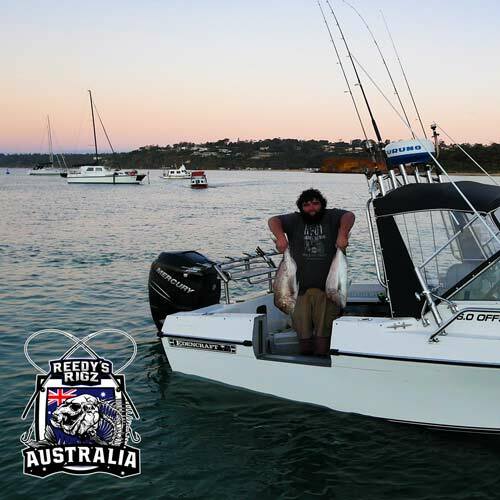 Australia is an angler’s paradise. 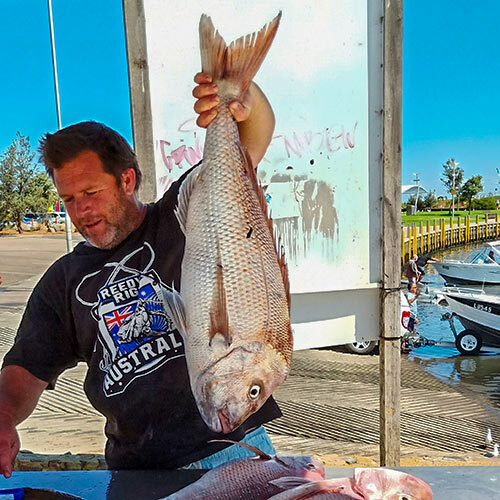 There are more than 485,000 recreational fishers in Australia. Most Australians live by the sea, and there’s plenty of fish available for everyone. You can see why fishing is such a popular hobby over here. The Snapper is my personal favourite. Called as the Australasian Snapper, this marine fish is generally found in coastal and offshore waters. They are available throughout the year especially in southern Queensland and South to Central WA. 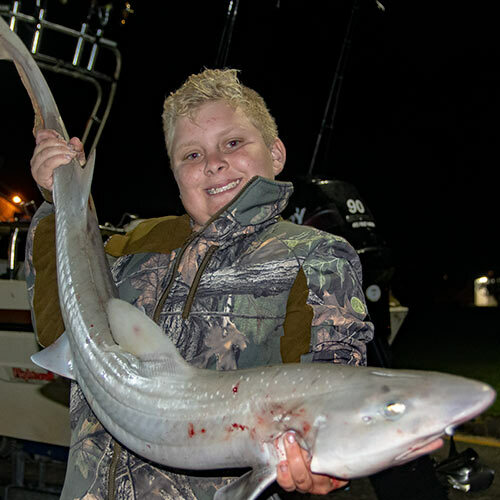 You can catch the snapper in the wild by a variety of methods such as trawling, handlines, longlines, and gillnets. 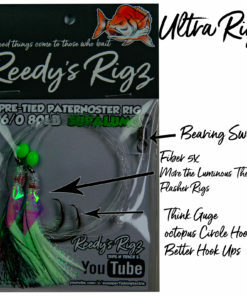 But the one I like the best are the pre-tied fishing rigs from Reedy’s Rigzs. 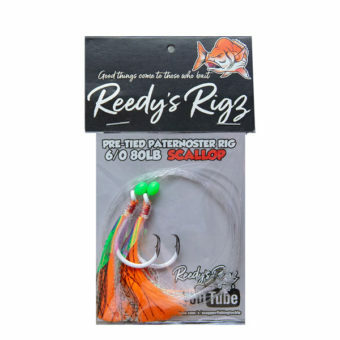 There’s a lot of talk about the snapper rigs from Reedy’s Rigzs among the charter operators here, and I’ve heard stories of how easy this tool makes it to catch not such the snapper fish, but also the Australian salmon, tailor, gummy sharks and mulloway. What makes these pre-made snapper rigs so special is, how easy they are to operate. 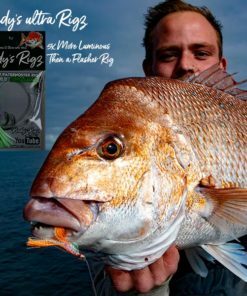 Reedy’s Rigz by Snapper Snatchers is a popular fishing brand not only in Australia but among recreational anglers around the world. 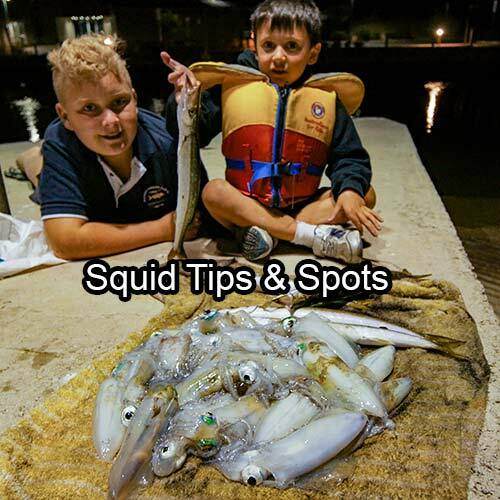 They specialise in pre-made rigs and lures including squid jigs and a wide variety of tackle. They are very active on the social media and you can find out more about them on their official YouTube Channel Snapper Fishing Tackle . 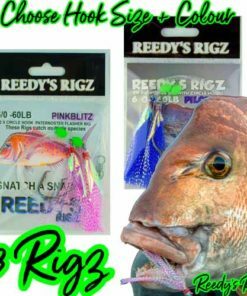 What’s so Special about Reedy’s Rigzs?Well, to begin with, these are the best snapper rigs I’ve used in a long, long time. 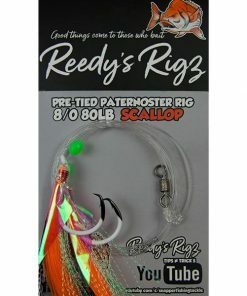 Reedy’s Rigz are really effective when you’re fishing from boats. I, for one, have caught snapper and school sharks and a variety of other species with them. 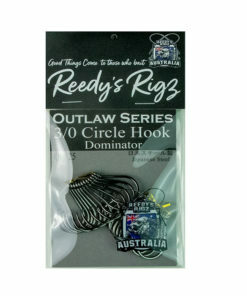 You will be far more successful when you use the pre-made rigs from Reedy’s Rigz than with only bare hooks. These rigs are best suited to waters where there’s enough current to wash them around. Let’s talk a bit more about how Reedy’s Rigz work. 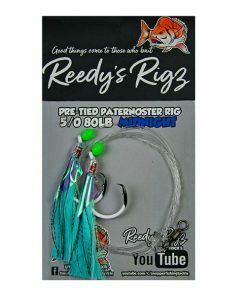 How Do Reedy’s Rigz Work? 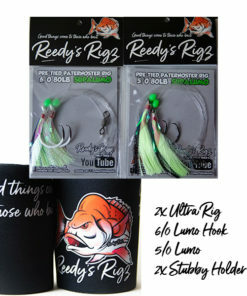 What are Reedy’s Rigz? They are essentially pre-tied fishing rigs. 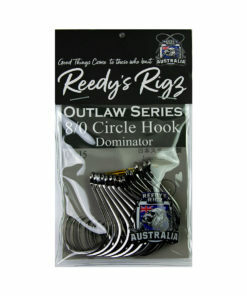 They come in many different colours and sizes, but I suggest going for the 6/0 hooks if you’re fishing for the snapper. They consist of two extremely sharp circle style hooks, which are to a hard trace material in the paternoster style. 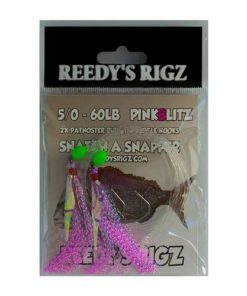 These rigs are so good because of the fish-attracting material tied to the hooks. 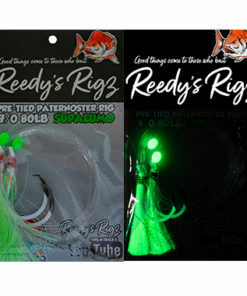 Each hook is covered by a lot of flashy dressing and made to resemble a saltwater fly. 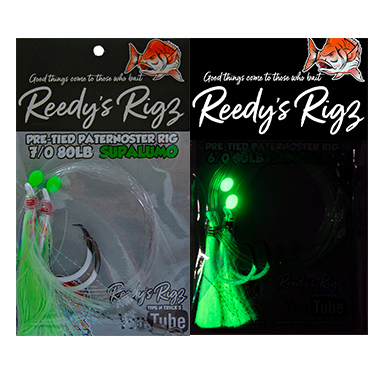 You even have a glowing bead above the hooks, which gives it a perfect fly-like look, which attracts the fish to it. You can use it along with bait or use it as the bait; it works either way. 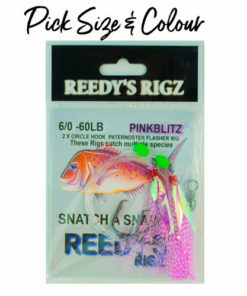 But it always makes sense to sweeten up the Reedy’s Rigz hooks with a small bait. I recommend a strip of squid for this – just pass the hook through the end of the strip once, just as for any ordinary circle hook. Make sure not to cover the gape of the hook with too much bait. 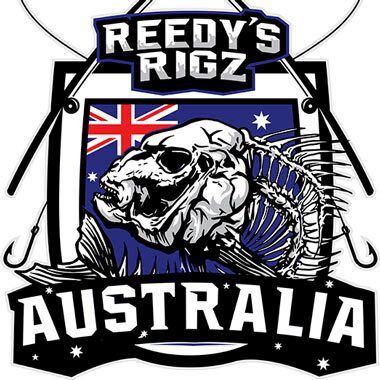 Fishing with Reedy’s Rigz is a real pleasure. Once you’re done with fixing the rigs and baits, put the rod in the rod holder, as low to the water as possible. 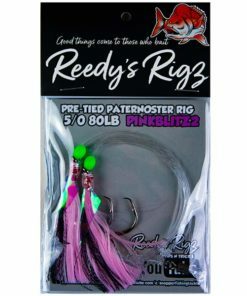 The rigs are designed in a way to bait the fish and hook it at the corner of its mouth. The hook gets pulls the fish in even as it tries to get away. Whatever you do, don’t strike at the fish, as that would only pull the hook from the mouth of the fish. You can pull the fish in only when you are sure that it has been properly hooked. Trust me; the fish simply hook themselves, you don’t even have touch the rod for the most part – unless you notice a strong bend in the rod for some reason. 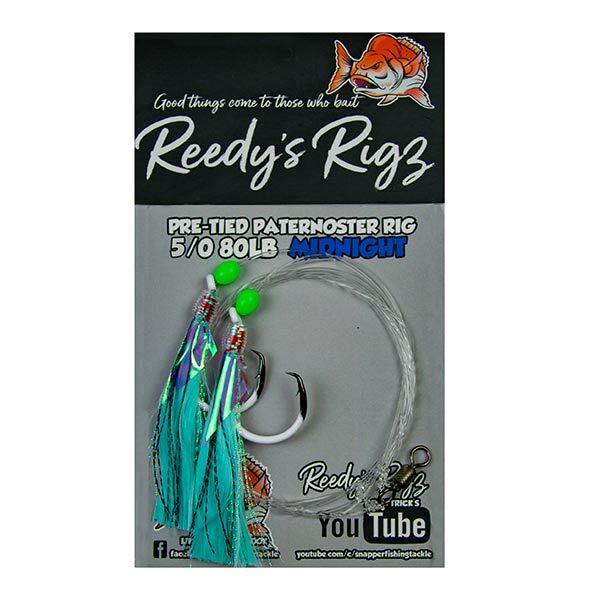 You will find Reedy’s Rigzs at many online stores and at most tackle shops, wherever you are. They have certainly helped me catch more fish than I used to, and I’m pretty confident that you will find them useful as well. If you have any questions for me, feel free to ask them in the comments below. Also, remember to subscribe to my YouTube channel where I tell you all you need to know about recreational fishing. 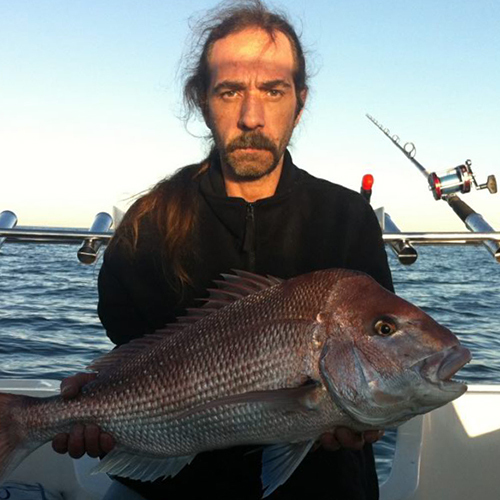 We fish for snapper and Various Fish often post our fishing reports on social media . We Have Pro Staff is various states that fish with our gear. Same Day Shipping : We Are Dedicated to Getting your Tackle To you ASAP We Ship Same Day 100% Guaranteed . We Strive To Providing A fast Shipping Service Our focus is to Keep Our Customer Happy .